The Stockholm region and Kista play a crucial role in the establishment of a consumer-oriented service industry in Sweden. 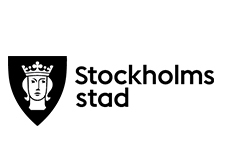 The City of Stockholm has chosen to establish and participate in several initiatives focused on this sector, including the Mobile City Initiative (MCI), the Kista Mobile Showcase, and to participate in the Mobile Life Centre. The City of Stockholm plays a natural central role in the Mobile Life Centre, through providing multiple channels for local collaboration, dissemination, and take-up with both small and large companies. The city of Stockholm contributes to the Centre by being prepared to be test-users representing the public sector.